While I often focus on swatches of new collections, I also like to mix and match old favorites. 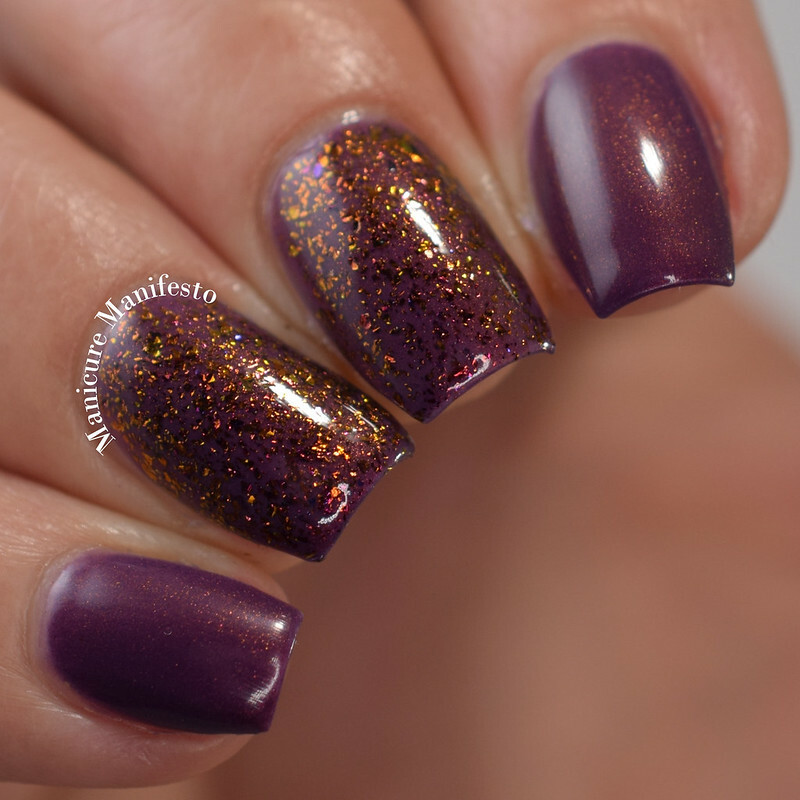 Today I've rounded up a few polish combos I've worn in the last little while. Let's take a look at swatches. 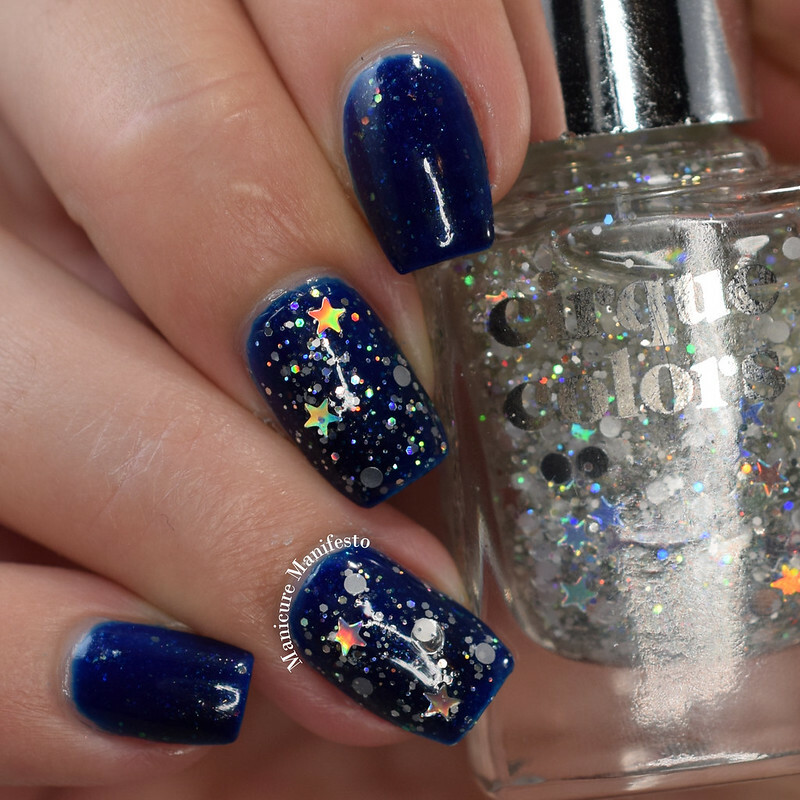 Blue-Eyed Girl Lacquer From Dusk To Dawn & Cirque Pop! 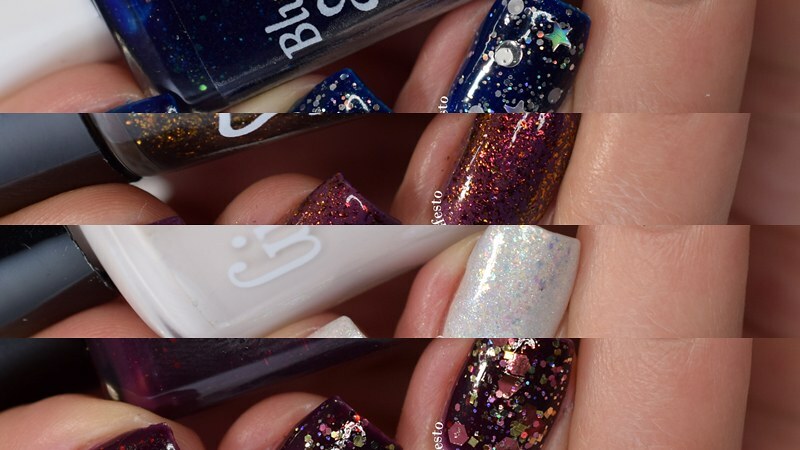 Photos show three coats of Blue-Eyed Girl Lacquer From Dusk To Dawn topped with one coat of Cirque Pop! 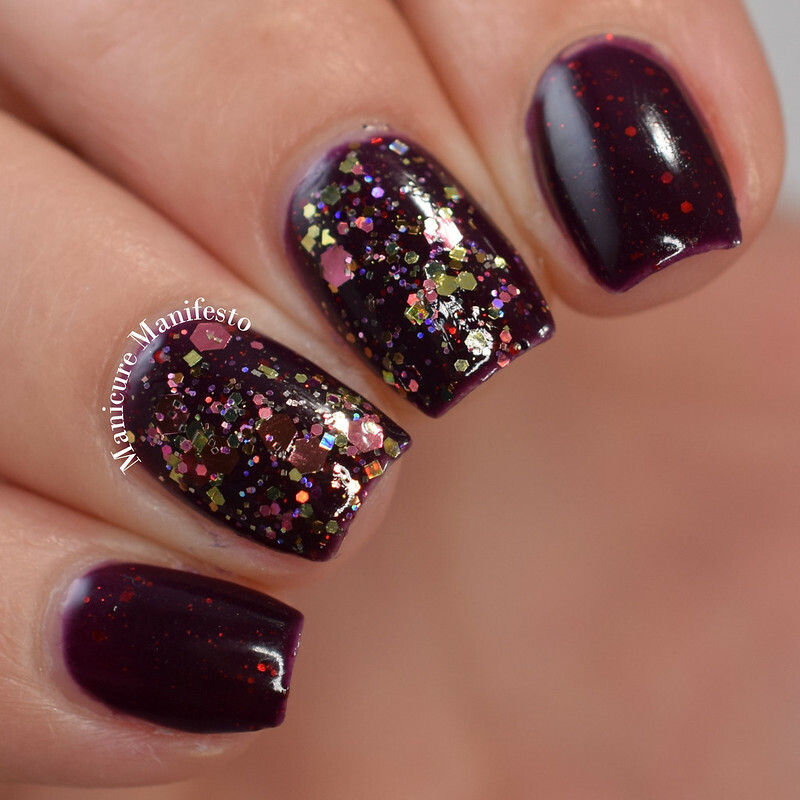 (on my middle and fourth fingers) and one coat of Girly Bits Cosmetics Glitter Glaze top coat in daylight spectrum lighting. 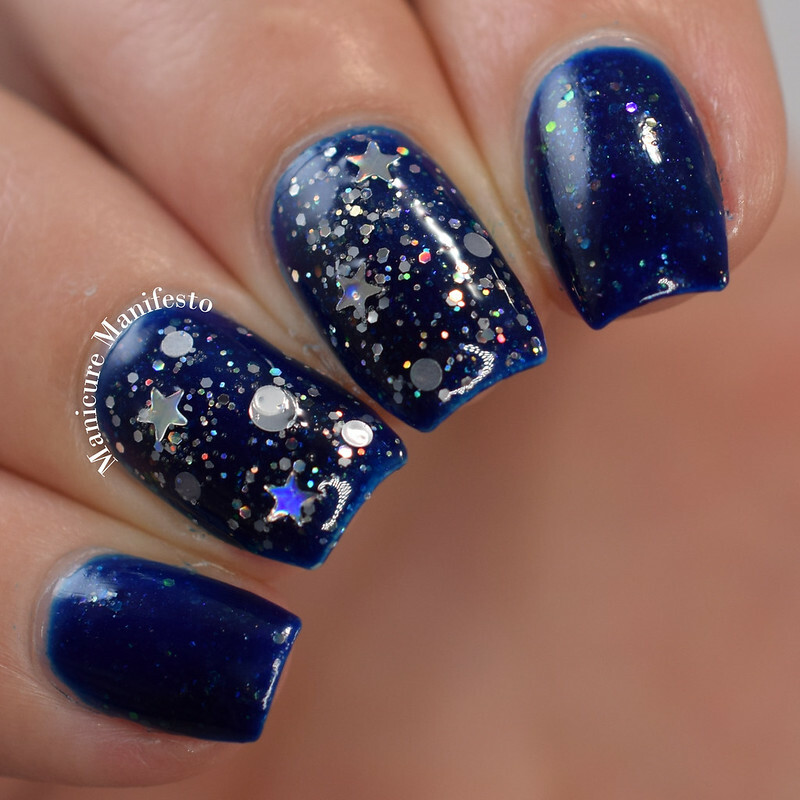 Blue-Eyed Girl Lacquer In The Dawning Light & Beyond The Nail Speak Of The Devil! 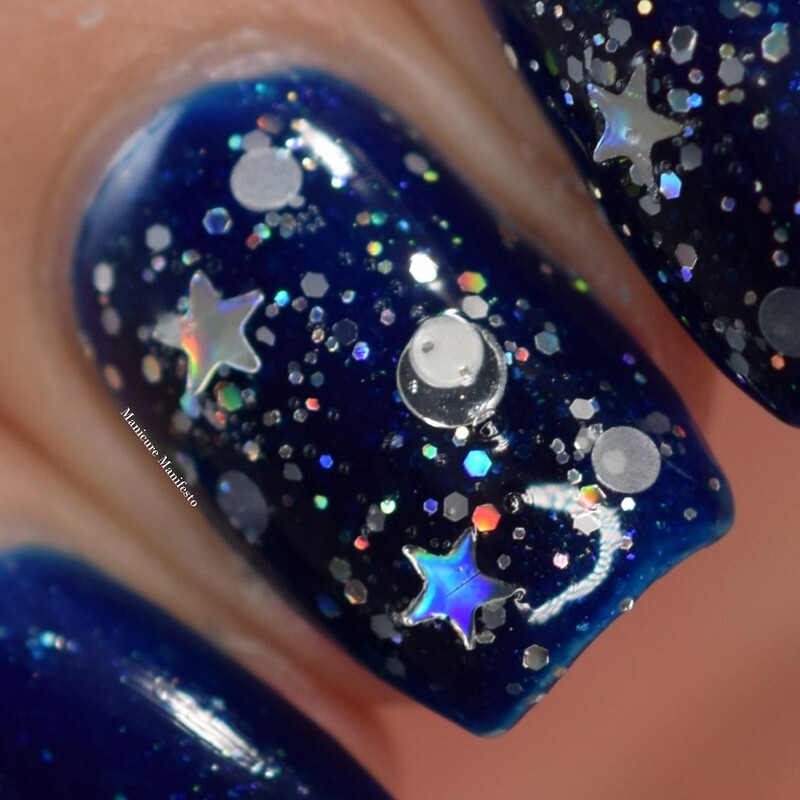 Photos show three coats of Blue-Eyed Girl Lacquer In The Dawning Light topped with one coat of Beyond The Nail Speak Of The Devil! (on my middle and fourth fingers) and one coat of Essie Gel Couture top coat in daylight spectrum lighting. 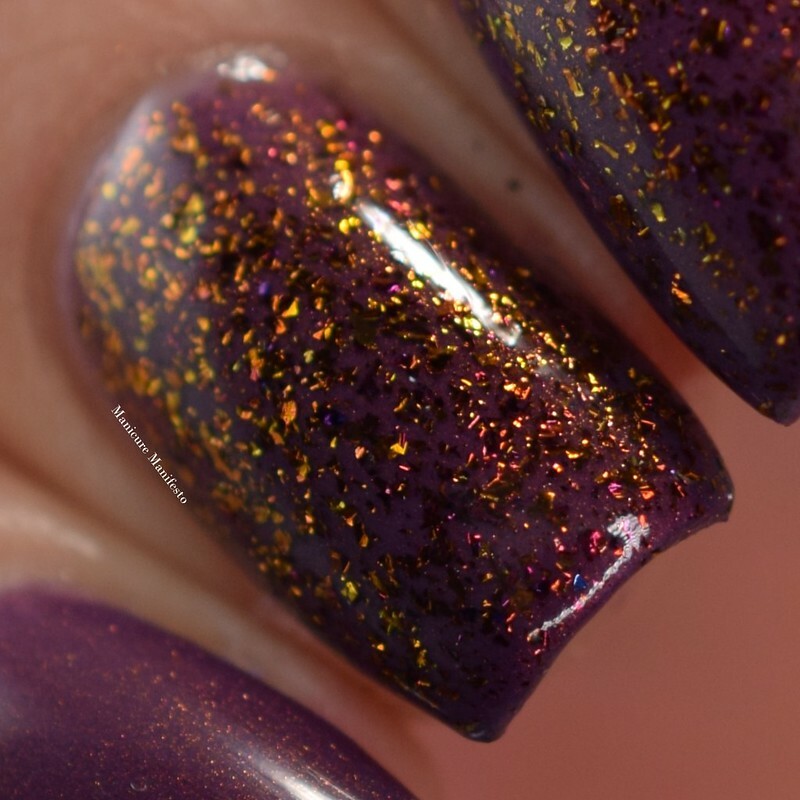 Photos show two coats of Girly Bits Cosmetics Just The Flax Ma'am topped with one coat of Bee's Knees Lacquer Dreams That Are Answered and one coat of Essie Gel Couture top coat in daylight spectrum lighting. 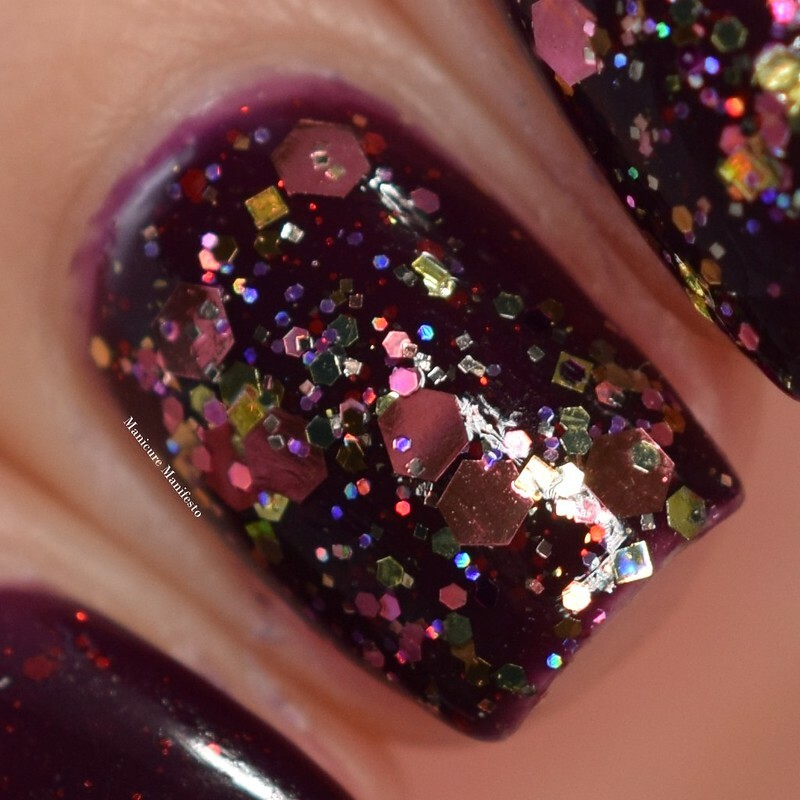 Photos show three coats of Cadillacquer Banshee topped with one coat of Femme Fatale Cosmetics Gilded Rose and one coat of Girly Bits Cosmetics Glitter Glaze in daylight spectrum lighting. I love it so much. I call it "Office Friendly Mermaid".